Following projects have been envisioned to ensure improvement of existing plant. Government of Pakistan has changed the specification of imported Motor Gasoline from 87 RON to 92 RON. Although refineries are allowed to market 90 RON, an opportunity exists to improve the production of Motor Gasoline to meet the market requirement. 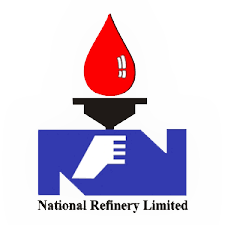 For this purpose, NRL is considering to install a Topping Unit with a capacity of 30,000 bbls/day and a Reformer Unit to convert the entire volume of Naphtha into Motor Gasoline. The Front-End Engineering Design (FEED) for the topping unit has already been completed whereas for the licensing of reformer, proposals are at review stage. Company would be undertaking the turnaround of its Lube-I Refinery towards the end of year 2018-19. This will result in continuous production at optimum level without frequent maintenance requirements. The turnaround is also tied with the revamp of two stage unit of Lube-I Refinery which may delay the turnaround to next financial year.